The most distinguishable characteristic of the Municipality is its predominantly rural character, comprising mostly tribal land (99.49%) which is administered by the Ingonyama Trust on behalf of local communities as constituted under The Ingonyama Trust Act of 1996. 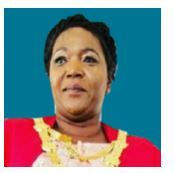 The Municipality incorporates the Ilembe Regional Council and the Indlovo Regional Council. The R74 is the main road, which provides access from KwaDukuza to the hinterland, and then leads on to Kranskop and Greytown. The linkage to the N2 is vital as it provides for migrant labour transport, access to commercial and employment markets in the Durban Metro, and to Tongaat / Maidstone, the Dolphin Coast, KwaDukuza, Darnall and Isithebe areas. The most pressing needs identified in the Maphumulo Municipality are water, sanitation and electricity; poverty alleviation through job creation and local economic development; road upgrading and maintenance; housing; agricultural development; the improvement of social facilities and services; telecommunications; town planning and nature conservation. The poor absorptive capacity of the local economy and the search for a better quality of life results has resulted in a loss of human capital for the municipality which further weakens the ability of the local economy to grow. Cultivated land is dominated by substance agriculture with the main crops being sugar, maize, sorghum and vegetables. Sugar-cane cultivation is the predominant economic activity and land use in the municipality. There are also other small cane farms and vegetable cultivators in and around the flat, fertile Umvoti River Valley. The steep slopes of the valley are characterised by extensive forest cultivation, whereas sugar is grown on the more gently sloping land. Subsistence agricultural activities in the form of small cropping areas attached to traditional family units dominate land usage in the Municipality. Produce includes staple diet crops such as maize, sorghum, and some vegetables. As the Municipality is not well served by roads the potential of farmers in the area to grow fresh produce such as fruits and vegetables for the larger markets is limited. The steep terrain in the region inhibits large-scale farming. Successful pilot projects have emphasised the need for an integrated agri-processing facility. In a development driven by Ilembe District municipality, emerging farmers from Maphumulo, Ndwedwe and Mandeni are growing products such as chillies and paprika. These are delivered to African Farms agri-processing plant in Glen Anil the chilies are processed, turned into products and have found their way onto supermarket shelves all over the country. Maphumulo possesses many natural and cultural assets, which can be exploited to build up the Municipality's attractiveness to visitors. Nine Iron Age sites have been identified in the immediate vicinity which, one and a half centuries ago, were used to manufacture spears and artifacts for the indigenous people. Several historical sites are also to be found such as Cetshwayo's grave and the battle site where Zwide of the Ndwandwe clan was defeated by King Shaka. The mighty uThukela river runs along KwaShuShu provides a popular spot for domestic tourists for seasonal river rafting. The site also has hot springs which are to be found on the river bed. 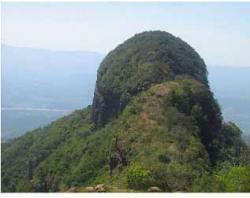 The area has abundant birdlife and the spectacular scenery provides an outstanding vista for walks and hikes. One area that has been identified as suitable for tourism development by community representatives and councillors is the Die Kop Mountains. The Tugela River frontage also has potential for tourism. A key tourism opportunity identified is the development of the KwaShuShu hot springs. To improve the quality of life of all residents in Maphumulo through the provision of appropriate and adequate infrastructure, social empowerment and promoting local economic development, and creating an investment-friendly environment in an environmentally sustainable manner. Creating an enabling environment for economic development. Ensure participation of marginalized community especially women, youth, disabled and HIV/Aids infected and affected. Ensuring clean and safe environment. Urbanised areas within the District are KwaDukuza/Stanger, Mandeni, the Dolphin Coast and Zinkwazi. Land uses within these areas are typically urban mixed uses with high levels of infrastructural and service development and an adequate provision of social facilities and services to support the resident populations. Industrial development is concentrated in KwaDukuza, Isithebe and Darnall, most notably the Gledhow and Darnall sugar milling operations at Stanger and the Sappi Paper mills at Mandeni. Informal settlements with limited facilities or infrastructural services occur on the periphery of the developed areas and within the towns of iLembe. Village centres such as Maphumulo and Ndwedwe in the west and Nyoni and Mbizimbelwa in the north comprise of commercial and service development in the rural areas. Both largely exist in association with a magistrate's court, clinic, pension pay point, health, education and welfare office or similar state service. Wholesale commercial activities have expanded and these villages have emerged as supply centres and transportation hubs to the remote rural areas of the Ilembe District. Municipal Motto: Committed to community development.